The Mustang LX 5.0L offers you a choice of hatchback, 2-door sedan or convertible bodystyles, all with the performance of the GT, but with the smooth styling of the LX. 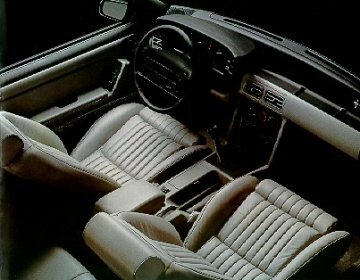 You have the same GT-type interior including full instrumentation, electronic AM/FM stereo and front bucket seats with adjustable seat cushion side bolsters, under-thigh support and power lumbar support. The brake and accelerator pedals are positioned to faciliate heel and toe downshifting. LX 5.0L models also come with all the performance level equipment of the GT. Under the hood is the powerful 5.0L HO V-8 with sequential mulitple-port electronic fuel-injection wich puts out 225 horsepower and 300 pound feet of torque. The suspension system uses nitrogen gas-pressurized hydraulic front struts, rear quadra-shock setup for that taut performance ride and progressive rate coil springs at all four corners. 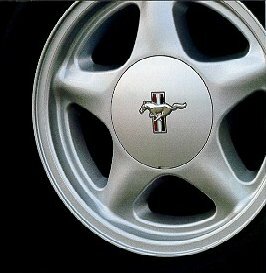 The wheels are 5-spoke 16-inch cast aluminium, but with slightly diffrent allseason performance radials. And there's the same quick ratio power steering and 5-speed Borg Warner transmission. Convertible modles are a big part of the Mustang mystique. Just imagine all the fun you can have in a car with this much pizzazz. 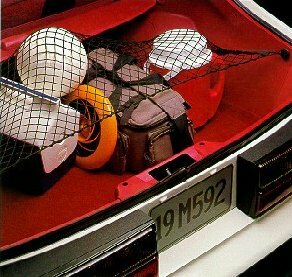 You can also add the airbag and a cargo net to use in the baggage room. Now you can also modify your stereo with a equalizer. Or add a air roof to get some air on hot summer days. 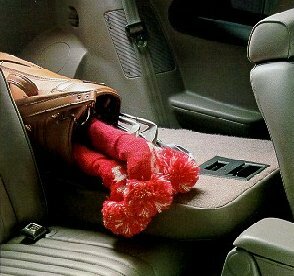 You also get a rear window defroster you can use on the cold winter days! So enjoy your ride in the 1991 Mustang LX 5.0L.